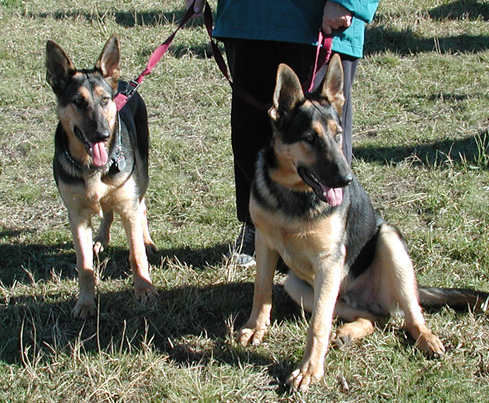 Back in April of 2004 a generous breeder from California donated two of her German Shepherd puppies to a guide dog school. They were given the names Tango and Cash and we were chosen to foster and train Tango for a year. Every week we got together with Tango’s brother Cash to attend training classes and to socialize them at off-leash parks. Cash was great with people but he had a bit of a dog aggression problem so he was eliminated from the program. 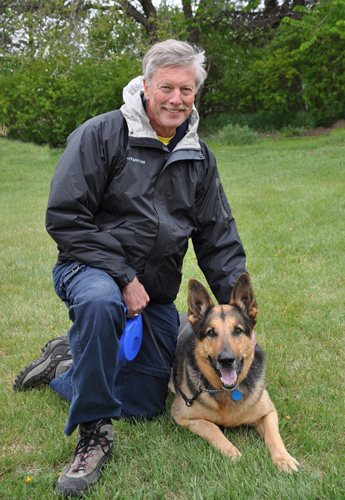 He was adopted by a couple, Judy and Bob, who loved German Shepherds and had recently lost their beloved dog Laser. 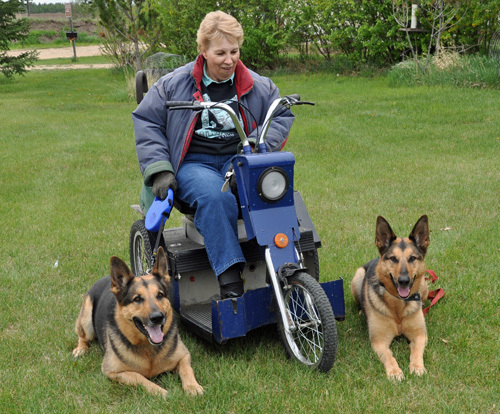 Judy has MS and she was hoping that Cash would be able to assist her around the farm. Tango made it to the second phase of training but it quickly became clear to everyone that she was a very high energy girl and not suited to be a guide dog. We were given the opportunity to adopt her and become her forever home. Over the years I often thought about Tango’s brother and hoped that he was living a wonderful life in the country. Well, we no longer have to wonder about Cash. 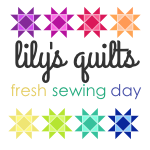 About a month ago I was contacted by Judy. Poor Cash had some serious health issues and she wanted to let me know about them so that I could get Tango checked out by our Vet. A few days ago we drove up to their farm to meet them and to reunite Tango and Cash. Except for the 40lb weight difference it was like we were looking at Tango’s twin. Their markings, colouration and even their vocalizations were identical. As we began talking we quickly discovered how similar their personalities are too. They both love people, especially kids and they are both very talkative. All four of us just couldn’t stop talking about how much alike they were. We had a wonderful visit and we look forward to getting together with them again very soon.